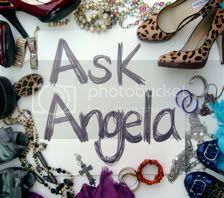 Thanks for your words Angela - and the pictures. I have been to the Oklahoma City Bombing memorial and though it's a much small scale the emotion is palpable and almost overwhelming! I was speechless when I saw it a few years back. And your right- the images are there to stay. More Americans need to see it. And experience it. And be touched by it. Thanks for writing about it. Angela, I didn't expect to cry as I read your entry. God is our strong tower, isn't he? Really moving words. Having not visited ground zero, I appreciate your descriptions and feelings. "I'm in Better Hands Now" was playing while I was reading this and I was crying too. THis was extremely touching and pretty much anytime I read stories about 9.11, tears are falling down my cheeks. Crazy stuff.